Are you looking for the best WordPress hosting provider? Trying to decide between InMotion Hosting and WP Engine? Both InMotion Hosting and WP Engine let you host your WordPress website with ease. 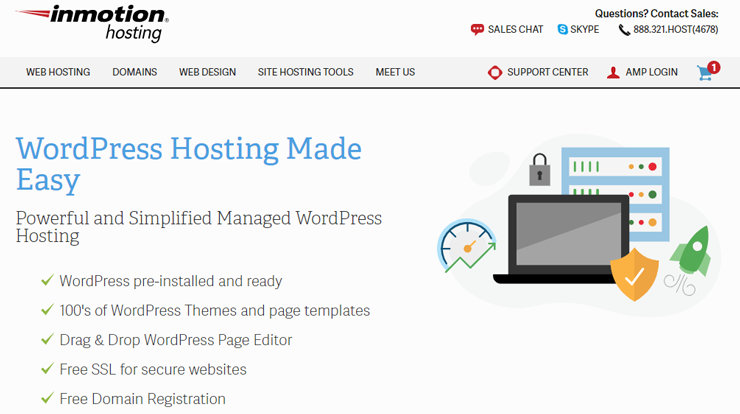 While InMotion Hosting provides you with a few different hosting options, including WordPress hosting and WordPress-based website builder hosting; WP Engine is a completely WordPress-centric managed hosting provider. In this article, we’ll compare between WP Engine and InMotion Hosting so you can decide which one is best suited for your budget and needs. WP Engine is one of the best WordPress-centric managed hosting solutions on the market. Besides hosting, they offer a suite of solutions to provide a blazing fast experience to your users, easily deploy new website features, and gain actionable insights on website performance. WP Engine acquired StudioPress themes, the #1 premium WordPress theme hub. With every WP Engine plan, you can get access to all premium StudioPress themes with no additional cost. InMotion Hosting is one of the best web hosting providers and offers a lot of desirable features. They let you choose a data center when signing up for a hosting plan and provide 24/7 US-based in-house support. They’ve partnered with Trees for the Future, a non-profit organization dedicated to offsetting carbon footprints by planting trees. Best of all, they provide an unmatched 90-day guarantee to try out their service, risk-free. Website speed and uptime are the most critical factors you need to consider when choosing a web hosting service. According to Pingdom, our WP Engine test site only took 582ms to load, which is faster than 96% of all tested sites. Our InMotion Hosting site took 982 ms to load, which is faster than 90% of tested sites, yet slower than our WP Engine test site. 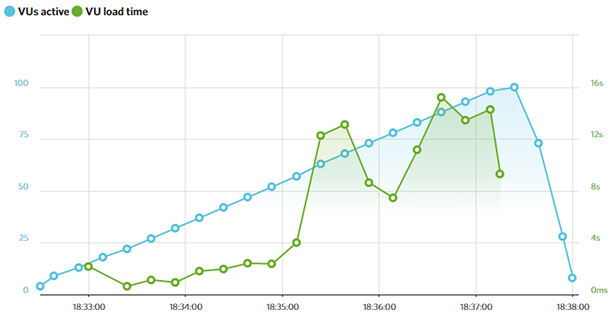 To get the whole picture of server performance, we also decided to test our testing sites with Load Impact. Using Load Impact, we sent some virtual users to our websites and built up to 100 visitors at a time to monitor how the servers would handle it. From the chart, it’s evident that, for our WP Engine site, a traffic surge didn’t have any negative impact on response time. However, our InMotion Hosting site only performed well until it reached 25 users. After that, it slowed down significantly. Their server’s performance wasn’t consistent throughout the test. After our Load Impact test, we decided to conduct a server response test with Bitcatcha. It monitors how the servers would perform from 8 different geographical locations. According to Bitcatcha, the overall performance of WP Engine was graded C, whereas our InMotion Hosting site was graded A. Getting started with InMotion Hosting is easy. 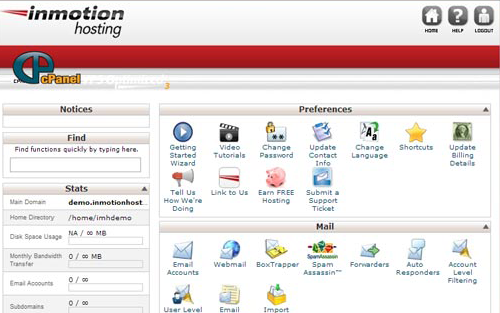 If you’ve ever run a WordPress website, then you’ll be able create a site on InMotion Hosting without hassle. With every web hosting plan, you get access to cPanel to manage your web hosting account. You’ll also get access to BoldGrid, a free website drag and drop builder, which is built on top of WordPress. WP Engine is a managed WordPress hosting provider, so you can rest assured that your server will be highly optimized for lightning fast speed without you having to handle server optimization. However, there’re a few restrictions on the WP Engine platform. For example, you’re not allowed to install certain plugins, which would conflict their in-built hosting performance and security features. Not to mention, there’s a bit of learning curve to tackle before you can use WP Engine. Not every website is created equal. It’s tricky wading through the full list of hosting features of both WP Engine and InMotion Hosting in order to work out what’s right for your site. InMotion Hosting comes with all the essential features beginners need to quickly launch a website; such as unmetered bandwidth, 1-click WordPress installer, a website builder, free data backups, SSD storage, Nginx, free CDN, etc. While InMotion Hosting features are geared towards a broader user base, WP Engine’s features are focused on specific customer segments, including developers, marketers, SMBs, agencies, and enterprises. 35+ StudioPress themes: Get access to all StudioPress themes with no additional cost. 1-click tool: Set up development, production environments quickly and easily with 1-click tool. Lightning fast performance: WP Engine has partnered with Amazon Web Services and Google Cloud Platform to deliver lightning fast user experience. InMotion Hosting provides 24/7/365 US-based technical support via phone, live chat, email/tickets, and even Skype! Besides extensive documentation, they regularly update video tutorials on YouTube to visually answer their customer’s pertinent questions. WP Engine, on the other hand, offers live chat support only. Phone support is provided with their higher-priced plans. And ticket-based support is provided only with their custom dedicated server plans. InMotion Hosting plans are primarily targeted at entry-level users who want to kick off a site quickly and easily. Their regular pricing plan starts at $7.99 per month. When starting out, the cost of building a site may seem like quite a lot. That’s why we’ve negotiated a deal with InMotion Hosting to offer 37% off to our readers. That means you’ll only have to pay $4.99 per month. The regular price for WP Engine starts at $35 per month. If you want a monthly subscription, then you can get a 20% discount on WP Engine so you’ll only need to pay $28 per month. We believe that WP Engine is a better WordPress hosting provider than InMotion Hosting. 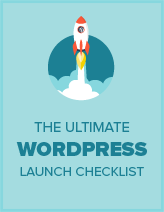 WP Engine comes bundled with a set of tools and features that help you quickly build a WordPress site and provide a lightning fast, stable environment to your end users. 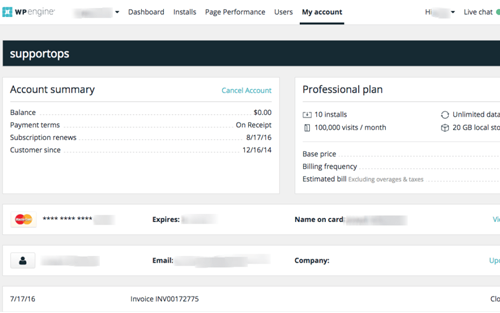 When you sign up for a hosting plan, they provide access to 35+ premium WordPress themes, which is worth over $2000. Unlike WP Engine, InMotion Hosting is ideal for a broader user base, from entry-level users to a seasoned internet pro. Regardless of your skillsets and budget, you’ll find the perfect set of features to kick off your website with InMotion Hosting. However, if you’re looking for a managed WordPress hosting solution, then WP Engine is the best bet. We hope this article helped you find the best WordPress hosting solution for your needs. If you liked this article, check out our WP Engine review and InMotion Hosting review.